This book explores interpersonal situations in which weak or vulnerable people find themselves and the ways in which others help create, sustain, and eradicate such social dynamics. Vladimir Shlapentokh and Eric Beasley demonstrate that people can gain power over each other and then abuse this power because of unequal resource conditions. The authors define resources as the means necessary for satisfaction or achievement of needs or goals, such as wealth, physical strength, intellectual capacity and information, sexual attractiveness, and status. 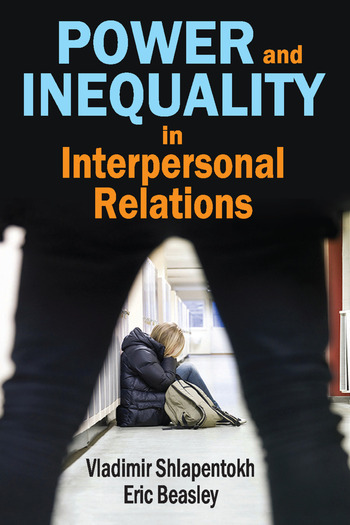 This volume is different from existing social science books on inequality and vulnerability, which address relations between people of different social positions, races, genders, ages, and places of residence confronting each other in political, economic, and cultural battles. This book focuses on people who become the victims of those whom they know personally—relatives, colleagues, neighbors. The authors argue that unequal resource distribution among members of social units is the main cause of conflict and ultimately creates situations where members of a social unit can abuse other members of the same unit. 2 The Distribution of Resources and Dependence on "Others"